We love to “light up” people’s lives! Of course we have all kinds of batteries for flashlights (even hard to find batteries for specialty lights) but we also keep a full line of premium flashlights in stock. 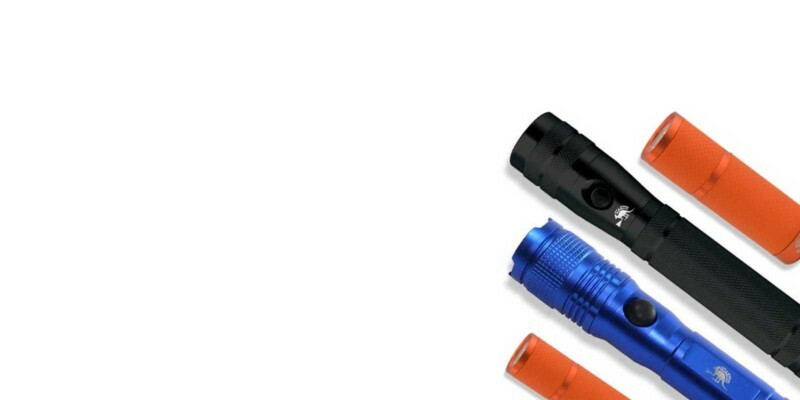 We have partnered with Outback flashlights to bring you an outstanding quality flashlight. Outback is a company that is taking the flashlight industry by storm. These things are showing up every where and for good reason; they are simply the best light for the money on the market. Battery Joe has recently started working Nebo to bring you high quality tactical and specialty flashlights. Nebo is an industry leader and offer a full range of high powered lighting including a full range of gun mountable lights for tactical and hunting applications. Our in store selection is currently limited but talk to us about your specific needs and we will find a lighting solution for you. Flashlights are available in all Battery Joe stores individually. We can even sell these in bulk to your company for resale or engraved with your logo to be given away as corporate gifts.